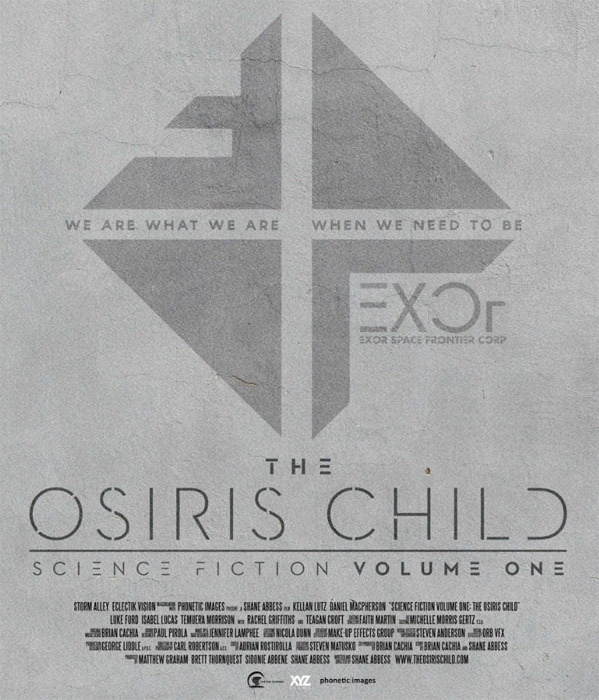 An intriguing trailer has launched for a new sci-fi movie series titled The Osiris Child: Science Fiction Volume One (or, vice versa, as Science Fiction Volume One: The Osiris Child) from Australian filmmaker Shane Abbess. Described as an "adrenaline-fueled sci fi adventure", the story takes place in the future in a time of interplanetary colonization, about a father who has to rescue a young woman amidst a global crisis. The full cast includes Kellan Lutz, Daniel MacPherson, Isabel Lucas, Luke Ford, Rachel Griffiths, Temuera Morrison, Bren Foster, Dwaine Stevenson, and Teagan Croft. As much as I was expecting this to look cheesy or too low budget, it actually looks pretty damn good, with some impressive visual effects and an interesting story. I don't know if the movie is any good, but I'm very curious about checking this out. Set in the future in a time of interplanetary colonisation, Sy (Kellan Lutz), a mysterious drifter, meets Kane (Daniel MacPherson), a lieutenant working for an off-world military contractor, EXOR. The unlikely pair must work together to rescue Kane’s young daughter (Teagan Croft) and reach safety amid an impending global crisis which was brought on by EXOR itself. Teaming up with a pair of renegades (Luke Ford and Isabel Lucas), Kane and Sy clash with EXOR in an attempt to escape while battling the savage creatures that roam the barren planet. 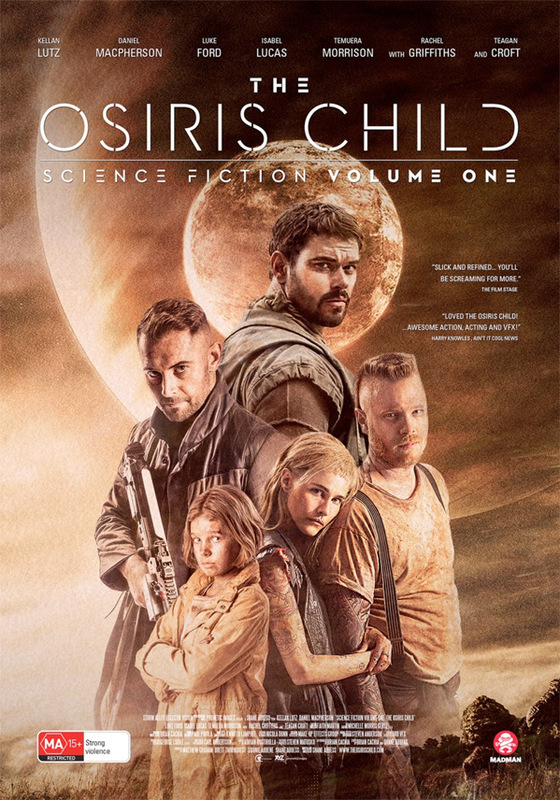 Science Fiction Volume One: The Osiris Child is directed by Australian filmmaker Shane Abbess, of the films Infini and Gabriel previously. The screenplay is written by Shane Abbess and Brian Cachia. Surprisingly this is not based on a book or anything else. This film first premiered at Fantastic Fest last fall. Science Fiction Volume One: The Osiris Child will open in theaters in Australia in April, but still has no US release date set yet. Stay tuned. Who's curious about this? Thoughts?